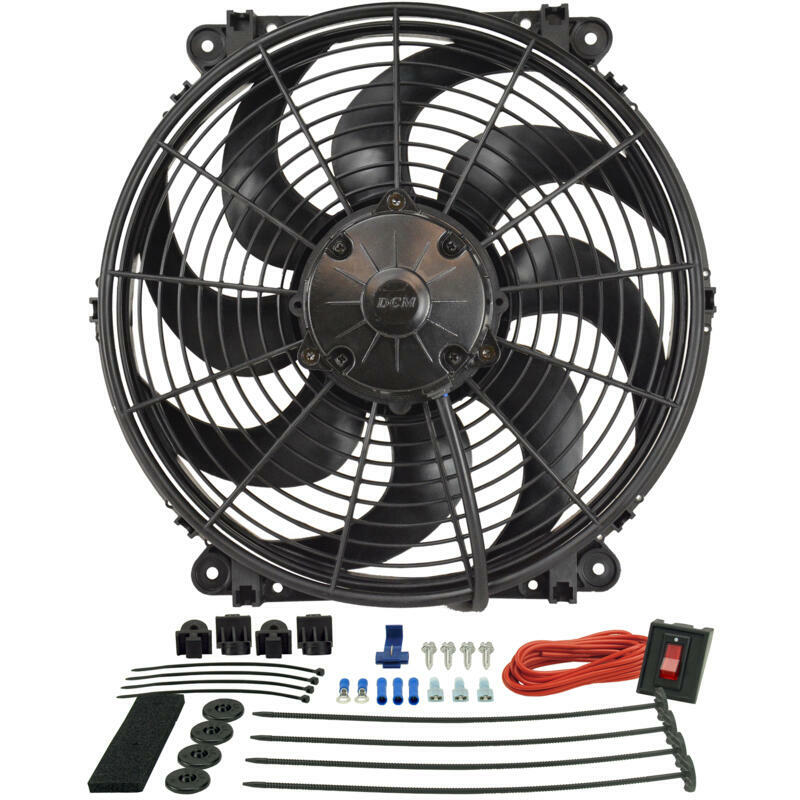 This extremely popular 14 reversible Tornado fan uses 8 skewed blades and its quiet, high torque electric motor producing a healthy 1350 CFM at 0 static pressure, drawing only 10.5 amps. Fan kit includes everything you will need for a manual switch installation. Perma-Cool Engine Cooling Fan 18124; 1,850 cfm Single Electric 14"